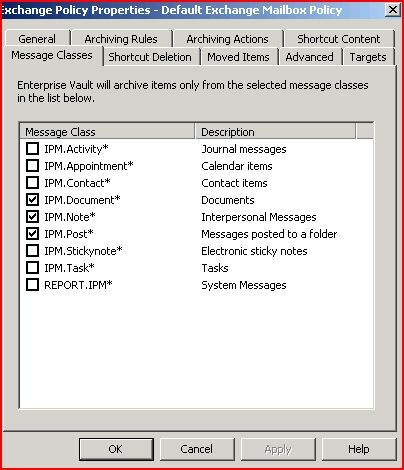 Everyone is probably familiar with setting message classes on their mailbox archiving policies in Enterprise Vault. When message classes are unticked in the policy, scheduled archiving won’t archive those types. 0 – [Default] Archive all items when a user performs a manual archiving operation. 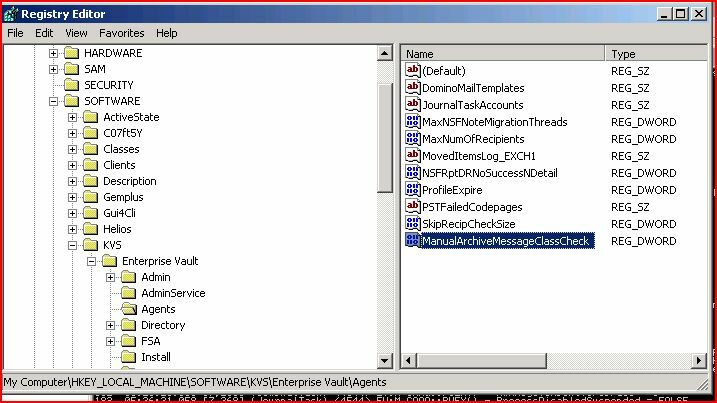 Specifies whether, when a user performs a manual archiving operation, Enterprise Vault archives only those items that belong to the message classes that are in the mailbox policy. By default, Enterprise Vault archives all items when manual archiving is performed. Enterprise Vault ignores the message class list that is in the mailbox policy. This registry value does not affect automatic, background archiving runs. When you try on the client, the item will go pending, and then revert back to a normal item.